Fulham Broadway Area Guide - What makes Fulham Broadway so great? Where do Fulham Broadway locals go? Where breakfast dreams become a reality. Serving a range of dishes from healthy, to not so healthy options! This bar has fantastic deals on drinks every day of the week, from tequila and taco Tuesday, to Mojito Thursday! It's also a great place for watching sports and there's a pretty garden at the back with a BBQ area too. An amazing champagne bar in Parsons Green. It does great cocktails, champagne brands and food. The staff remember your name and it is the perfect place for a quiet drink with friends. Incredible acoustic live acts play every Thursday, Friday and Saturday. A lovely gastro pub in the heart of Fulham Broadway. A slice of NYC in Fulham. Awesome design, amazing food and great service. A charming pub with rustic interiors set in the middle of a quiet residential area. It serves fantastic food and has seating outside too. Share your favourite place to go to in Fulham Broadway. "The name Fulham is derived from "Fulla's land in a river bend". The Fulla in question is believed to have been an Anglo-Saxon chief." 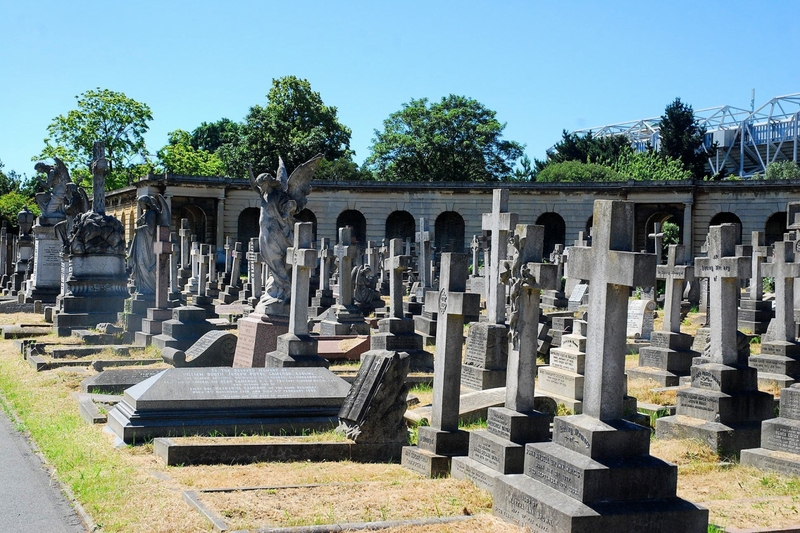 Stunning Brompton Cemetery is one of the 'Magnificent Seven' cemeteries built in London in the mid-1800s. There are some charming roads off Fulham Broadway with lovely eateries where you can sit outside in the sun. Classes are led by Lulu Winfield an experienced Yogabirth teacher, childbirth educator, birth doula and maternity reflexologist. The Yogashala is a beautiful, peaceful space where you can share your experience and questions with other local mothers preparing to birth. Our classes are fun and friendly and offer a wonderful chance to form new friendships. Fulham Broadway is a famous street within Fulham although it is often used to name the area in the immediate vicinity of the street and the station. From 1880-1952, Fulham Broadway underground station was called Walham Green. The station itself is now set inside Fulham Broadway shopping centre. However the modern name of Walham Green is now known as the Moore Park Estate, regarded as one of the most desirable parts of Fulham to own a property. The area predominantly consists of middle-class professionals and families. Nearby attractions include the bars, clubs and restaurants of the Kings Road and Imperial Wharf. What are your favourite things about Fulham Broadway? Find out how much your flat or house is worth om Fulham Broadway. Feedback about living in Fulham Broadway has been submitted directly by the public and may not neccessarily reflect the views of Foxtons. The description of Fulham Broadway was modified from Wikipedia and is available under the Creative Commons licence. Land Registry data is Crown copyright. All the views and contributions contained within Foxtons Local Life are those of the contributors. All content is assessed before publishing for taste, however free opinion is encouraged. Foxtons accept no payment or sponsorship for content that is posted about Fulham Broadway.